for significant hand strength or fine motor skills. 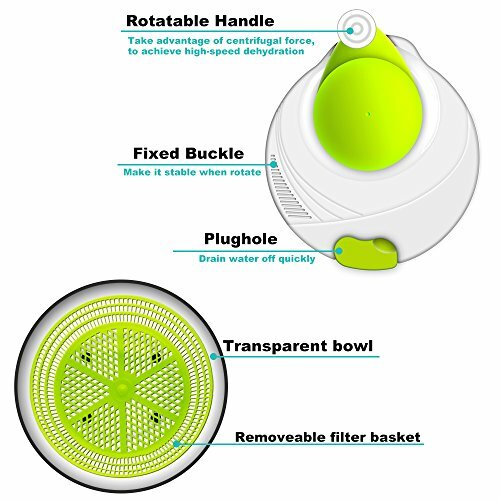 allows the Salad Spinner basket to achieve higher RPM than most other spinners, resulting in the driest, crispest lettuce possible. greens that the oil-based dressings will adhere to easily. greens and easily serve your delicious salad with perfection in this high-quality salad bowl. 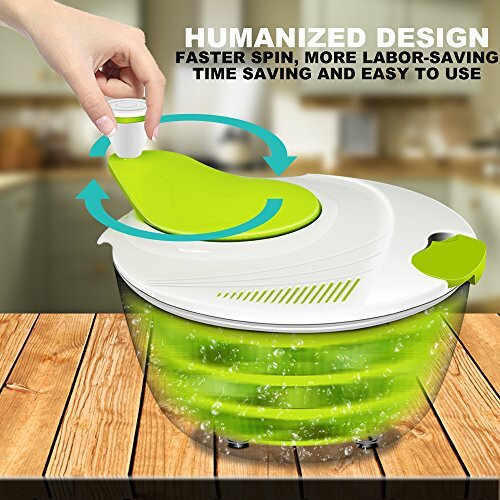 TOP QUALITY SALAD SPINNER AND SALAD SCISSORS-This professional salad spinner is guaranteed to be the best that you have used. Easy, one-handed operation. Reliable and durable. Salad scissors made of stainless steel blade that needs no further sharpening, it is also rust proof because it does not contain metal ion which can cause the blade to rust. 100% BPA FREE- Excellent reinforced plastic frame and body, heavy duty and long-lasting life. 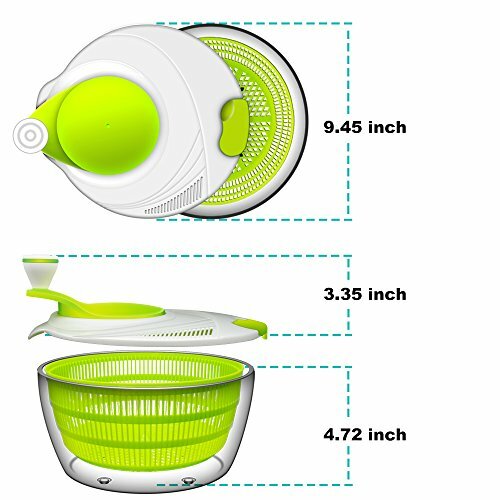 BPA-free food grade and reinforced ABS plastic professional level for superior break resistance. 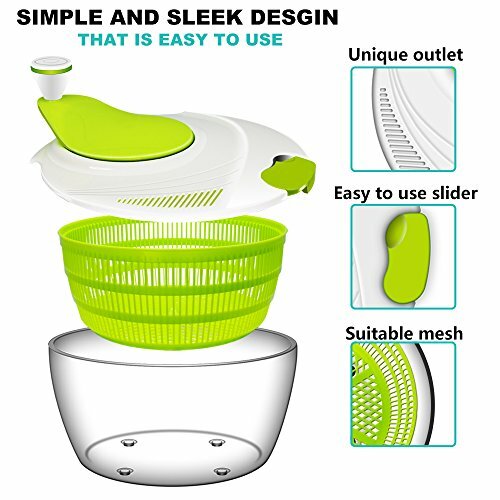 this is a professional salad spinner with salad scissors and guaranteed to be the best that you have used. Easy, reliable and durable. 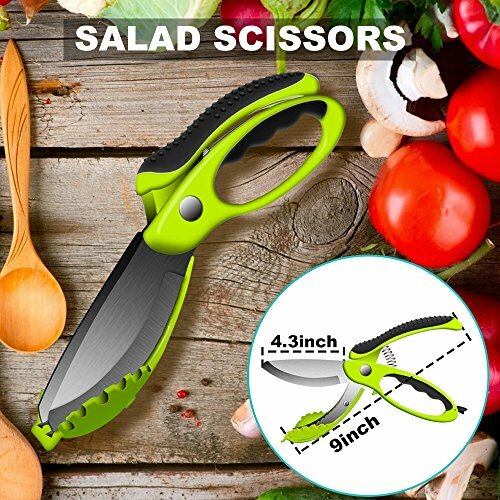 MOST INNOVATIVE 2-IN-1 KITCHEN SCISSORS- You can be cutting, chopping and tossing your cucumbers, onions, tomatoes, mushroom, peppers and more into desired slices easily and quickly without scratch in your bowl. 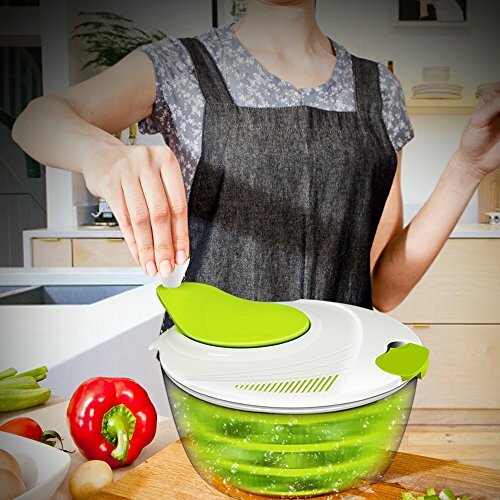 SUPER SAFE & EFFICIENT- Non-slip ring and wide base keep bowl steady on countertop. Your top is well secured when you are spinning your fruit, vegetables or your salad. 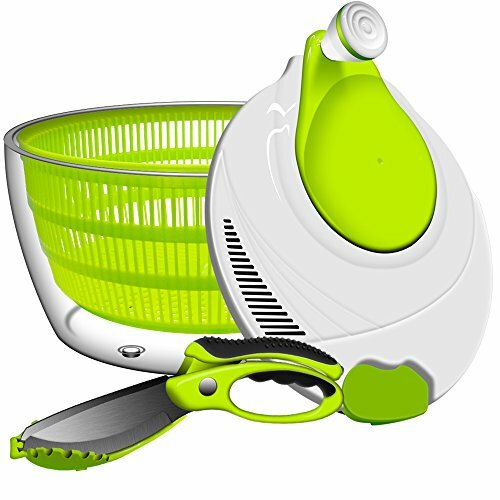 Basket can be used separately as a colander. Elegant, clear bowl is perfect when doubled as a serving bowl. EASY TO CLEAN- The material used are resistant to stain and odors making this spinner set easy to clean through traditional hand washing. Can be placed in the top rack of the dishwasher. If you have any questions about this product by ANKO, contact us by completing and submitting the form below. If you are looking for a specif part number, please include it with your message.